D&C Fence has been a longtime client of ours for many reasons. The relationship we have built with them is based on our ability to communicate well and provide excellent results. 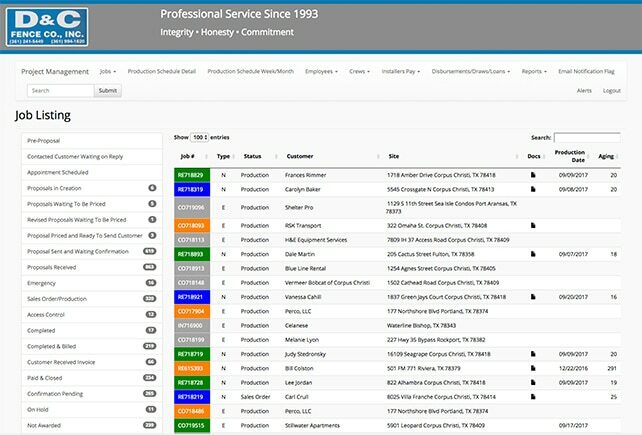 We’ve had the opportunity to produce a video for them as well as create custom software that runs their entire fence business. 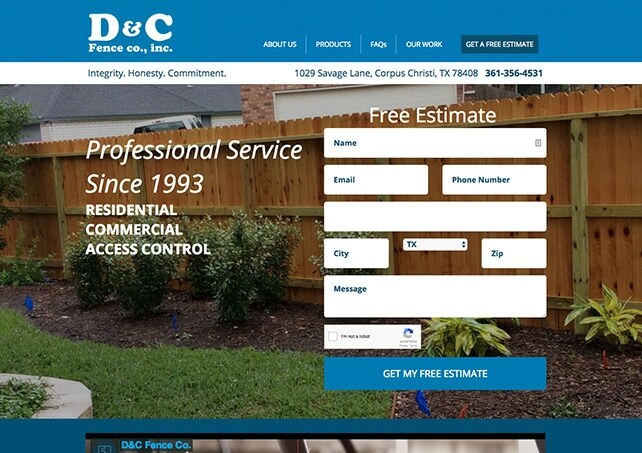 D&C Fence Co. from Ensemble Group on Vimeo. The video we produced shows some of the great fence work that D&C provides. Their work ranges from traditional wood fences all the way up to million dollar jobs. Like all great companies, their employees are a major driving force behind their success. 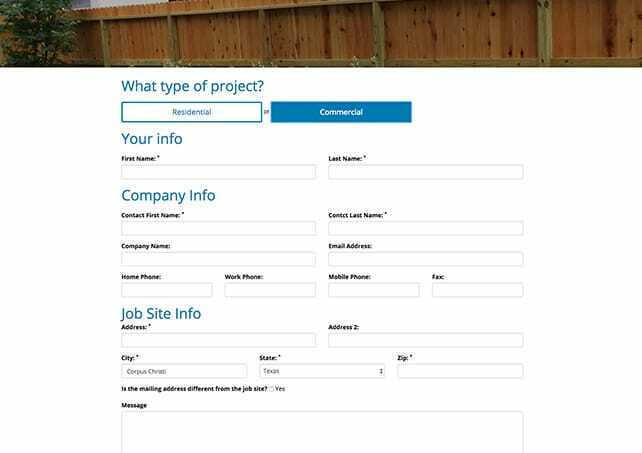 The owner of D&C Fence contacted us after they realized the opportunities being missed from their current project management structure. 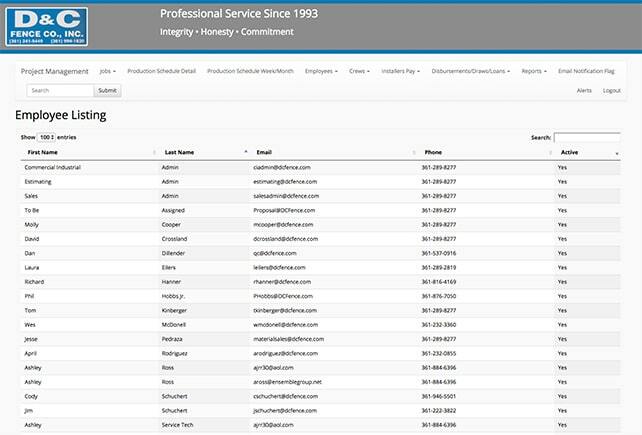 We were able to build them a complete custom software package that runs their entire fence business.